When we finally got the go-ahead to implement Laserfiche at the Township of Springwater, we knew that it was going to take some time. We knew that implementing the software was not going to be the most difficult part—the hardest part would be changing the way people work, and making sure that they embrace the project. Here is how we secured buy-in from members of our organization, and made sure that everyone embraced Laserfiche even before it was implemented. Our team met and discussed the various expectations that each department had regarding Laserfiche. We then molded the various visions into a single focused goal of implementing Laserfiche concurrently across the organization, with all existing hard copy and electronic information that would drive this project. Once we decided on a unified goal, we needed to secure buy-in from within the organization. We decided to start at the top, with the Council, and work our way down. In this way, if staff had questions or concerns about Laserfiche, their supervisor had already been convinced of the validity of the project and was able to reassure them. Better use of staff time. Easier information access for both employees and the public. 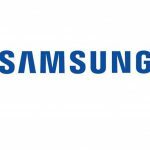 For senior management, on the other hand, we focused more on how their day-to-day work and that of their employees would get easier. Securing buy-in from end users was the most challenging. For that, we used the strategies outlined below. In order to keep everyone on track and focused, we used this acronym consistently. 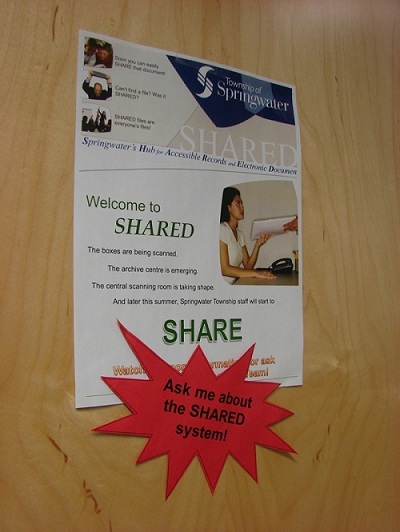 Our repository is named SHARED. 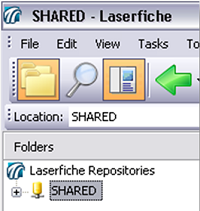 A SHARED logo appears on any Laserfiche related communication such as e-mail or posters. Are you reading the updates? Do you have any questions/concerns with the proposed changes? All of this made end users feel like they were included in all aspects of the implementation. To keep senior management informed and help them answer questions posed by their employees, we presented frequently at their team meetings. In order to address different types of learning styles, we spread the same message in different ways. 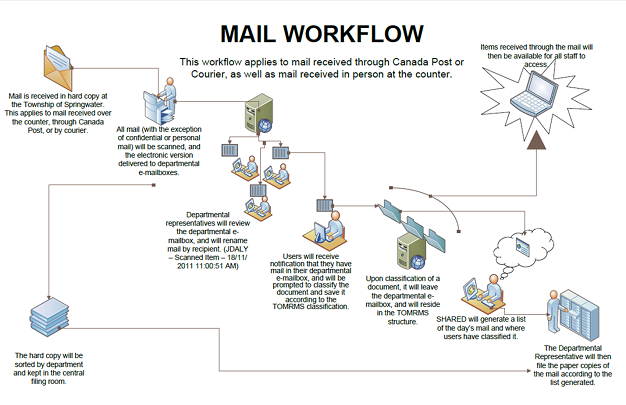 For example, we described our new Mailroom process in written e-mails, but also created a representational diagram which we hung around the office and distributed as handouts. We also encouraged end users to communicate with the project team. We created a single e-mail address to which users could direct questions and concerns. Since e-mail sent to this address was received by all members of our project team, someone could immediately reply. The project team hung “Ask Me” posters encouraging people to come in and ask questions about SHARED on their office doors. A large part of the Laserfiche implementation involved breaking users of old habits. Every department had its own network drive or silo where it would store documents that were rarely ever shared with other departments. 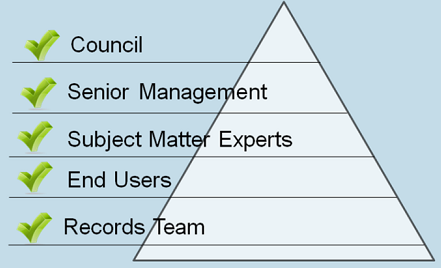 In order to help facilitate our goal of a single repository with various security classifications, we referred to our Records Retention By-law which outlined the rules governing the classification. We then sat down with users from every department and used this document to figure out how to classify all the files on their network drives. Following the same guide for every department allowed users to see exactly how we were basing the decisions. A number of end users were used to organizing their workload by piling paper on their desks in order of importance. In order to get them away from paper, but to continue to keep them organized, we introduced to-do lists in Laserfiche. 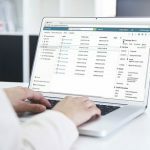 Users are able to create a prioritized list of linked documents (a Microsoft Word document stored in their personal folder with Laserfiche documents linked to it in order of priority) – a more managed, digital system that mirrors the way they were comfortable working. 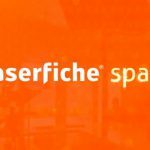 In order to get buy-in from staff, it was important to make the transition to Laserfiche as painless as possible. We replicated the file structure that we were eventually going to have in our Laserfiche repository on each department’s network drive. This allowed the end-users to familiarize themselves with the new environment before launching Laserfiche. We decided to keep paper originals at the beginning of the project and then slowly phase them out until we were only using digital documents. This reassured users and alleviated their fears about digital documents. We also developed a Quick Reference Guide to help users familiarize themselves with Laserfiche and the new retention policies.